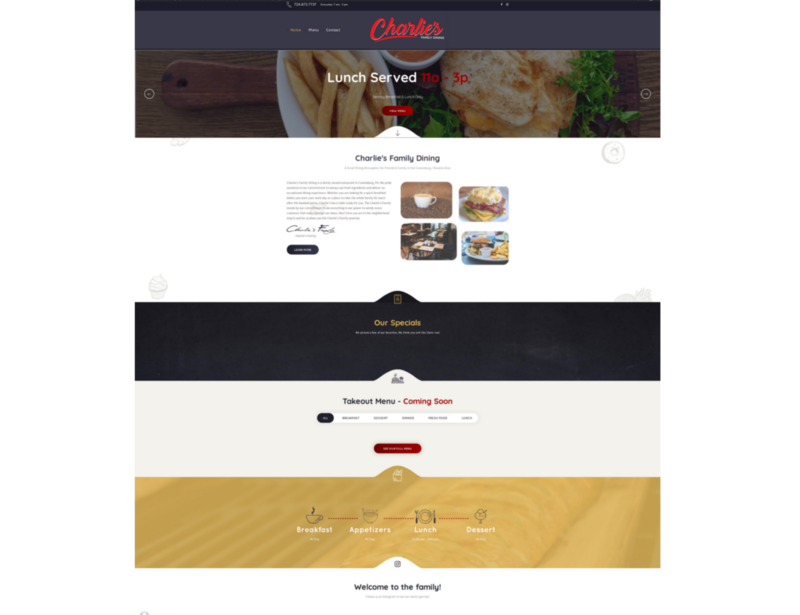 Charlies Family Dining is a new restaurant coming to the Canonsburg area. 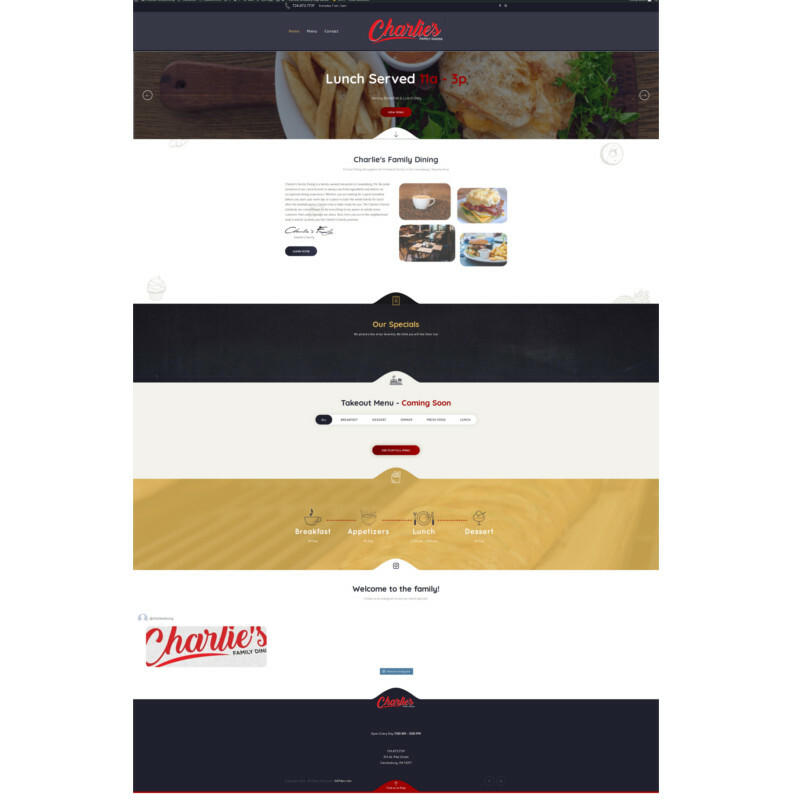 The owners of Charlies contacted me to develop their web presence. 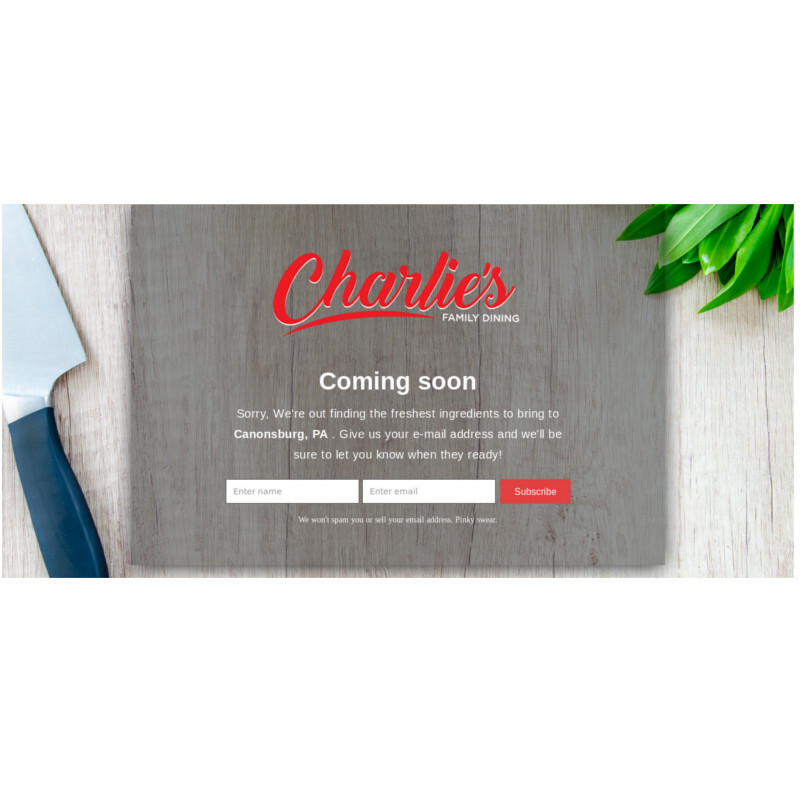 On the go live date DGP dev will be fully involved in the digital marketing for Charlies Family Dinning. We will utilize AdWords to target customers searching for dining options in the area, as well as relying heavily on Facebook advertising to spread the word of the new restaurant. DGP Dev will continue to optimize the site to meet all SEO best practices, as well as maintain a high search result for local buisnesses. The project is currently on hold for business delays.